What If My Aviator Sunglasses Don’t Fit? In addition, we will reimburse you for the cost of the Priority Mail return postage. What If I Get My Aviator Sunglasses And Decide I Don’t Like Them? This rarely happens; however, should you purchase a pair of aviator sunglasses from our store and decide you do not want to keep them, simply return them within 1 year along with the original packaging (if you have it). Please contact us during normal business hours 8:00am to 5:00pm EST M-F at 1 (866) 440-2461 to arrange your return for a 100% full refund (less return shipping costs). How Do You Pick The Correct Size Aviator Sunglasses FAQs? When you are looking for aviator sunglasses you discover that they come in sizes like 52mm, 55mm or 61mm, but what – exactly – does this measurement refer to? Actually, when determining the size of the aviator sunglasses there are several measurements that come into play. What Is The Difference Between Bayonet, Cable And Skull Temples FAQs? The temples are those arms which go from the front of the sunglasses frames back along the side of your head to your ears. Bayonet temples go straight back and do not curve downward over the ear. These are an excellent choice for anyone who wears any kind of head gear like helmets, headsets or hats. Cable temples go straight back and curve down the back of your ear and under the ear providing the most secure type of temples to prevent your sunglasses from falling off of your head. Skull temples go straight back and curve down the back of your ear but not under the ear. These are often referred to as “hockey stick” temples, and are the most common form of temples found on eyewear. The choice of temples should be made on the basis of the conditions you intend to use your sunglasses in with an eye towards maximum comfort. What Is The Difference Between Crown Mineral Glass Lenses And Glass Lenses FAQs? Crown mineral glass sunglasses lenses are used in high quality sunglasses because of their low refractive index and low dispersion factors. Visual acuity is an indication of the clarity or clearness of one’s vision. It is a measurement of how well a person sees. Crown mineral glass lenses also are more resistant to scratches, and will keep your eyes cooler even after long hours of exposure to harsh, hot sunlight. What Is The Difference Between Steel Alloy And Nickel Silver Alloy? Most sunglasses manufacturers use monel or steel alloy for the eyeglass frames. As you know steel will – over time – oxidize and begin to rust. If you use steel in the eyeglass frames it will – in time – begin to corrode and the finish will pit and then wear off. Nickel Silver alloy will not rust over time, and it also accepts the finish coating much better than steel alloy. Each frame is placed into a tumbler with round, smooth rocks to knock off any imperfections or small metal spikes before the finish is applied. Randolph Engineering uses 18% nickel silver alloy metal for all of its sunglasses frames, providing excellent solder joint integrity and frame durability. 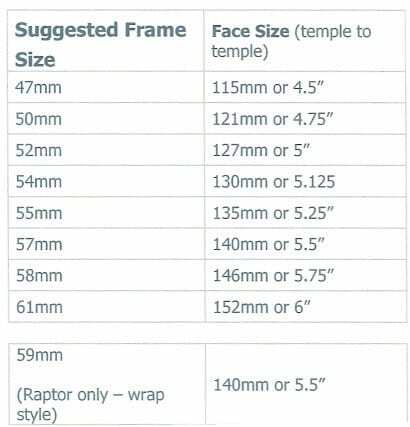 This is why after over 30 plus years the frames are still in excellent condition and we get requests for lenses to replace!